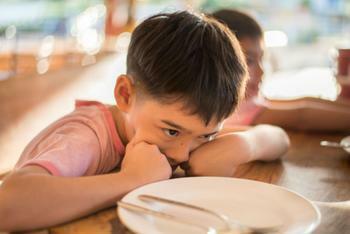 There are a number of things that parents can do to prepare their child for entering school, but a new study conducted by Georgetown University and the University of Virginia shows that one of the most important steps may start at the dinner table. The researchers state that having consistent access to quality food allows children to be better emotionally and cognitively prepared when they enter kindergarten. Unfortunately, they point out that food insecurity – defined by not having access to these resources – can adversely affect children’s development over the long term. "In our study, food insecurity in infancy and toddlerhood predicted lower cognitive and social-emotional skills in kindergarten, skills that can predict later success in academics and life," said researcher Anna Johnson. The study focused on 3,700 low-income households that were food insecure and analyzed the subsequent development of those families’ children. Researchers conducted interviews with parents and assessed children’s development at 9 months and at ages 2, 4, and 5 by looking at reading and math skills, instances of hyperactivity, conduct problems, and approaches to learning. The researchers noted that the timing and number of food insecure periods had a big impact on children. Johnson explains that families that go through these periods consistently have higher risks of childhood development problems. "Having more episodes of food insecurity in early childhood -- that is, having three episodes of food insecurity versus one or two -- was linked with poorer outcomes in kindergarten across all areas of development," explains Johnson. Johnson and her colleagues have stated that the study did not prove the existence of a causal link between food insecurity and poorer childhood development; however, they do believe that the findings are worrisome and a cause for concern. Co-author Anna Markowitz has called on all levels of government to investigate the issue and provide relief to families who are in need. "Increasing the generosity of food assistance programs and ensuring that they reach children whose families are food insecure or at risk for food insecurity in the earliest years -- when children are 2 or younger -- could boost the early school success of these vulnerable children," she said. The full study has been published in Child Development.